Olivier Decherf, President of Envirogroup and of Club ADEME International, took the floor at the Club AGM. 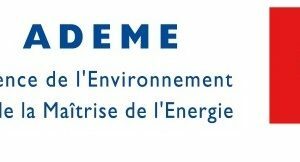 On November 28th, Olivier Decherf, President of Envirogroup and of Club ADEME International, took the floor at the Club AGM. This meeting was organized as part of Pollutec exhibition in Lyon and brought together many members. Olivier Decherf thanked the President of ADEME Bruno LECHEVIN for his support and the support of the international management which allowed the club to organize many events and to be present at many exhibitions in 2016, which was a pivotal year in favor of the climate and the transition to a low-carbon economy. Actions are implemented everywhere and the Club ADEME International has a key role to play in order to showcase your innovative solutions internationally. Finally because 2017 marks the 20th anniversary of the Club ADEME International, which will have to be celebrated in style.